This week for the blogging marathon the theme I am doing is dishes that are most commonly served in a South Indian meal / Thaali. 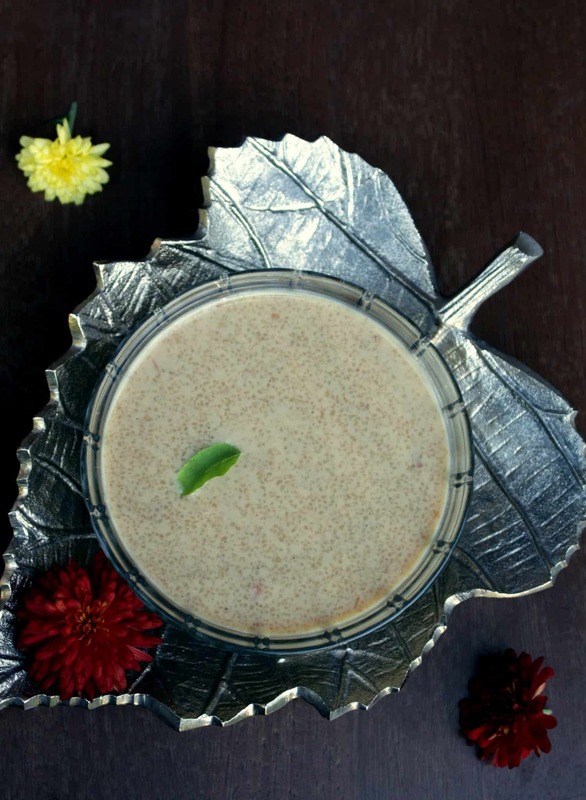 It is very common to see many dishes prepared on special occasions and they are typically served on a Banana leaf. 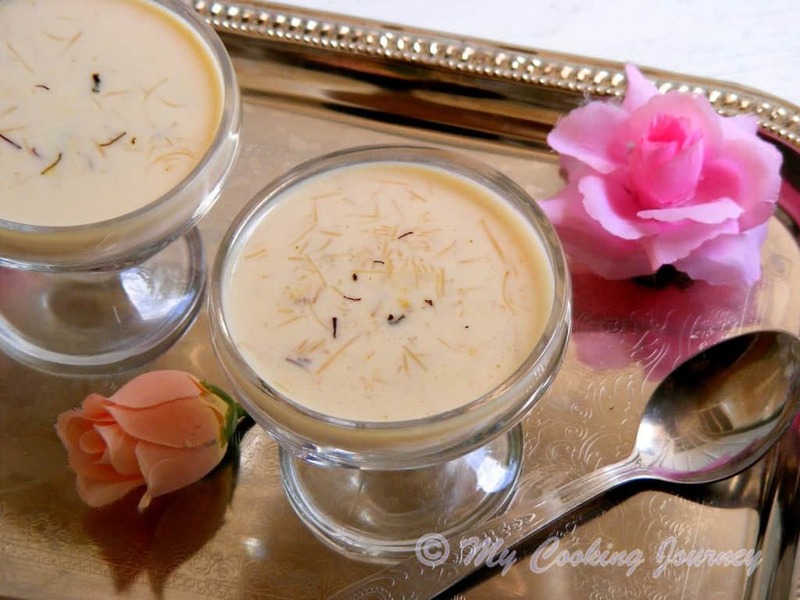 Marriage is one such occasion where you can find a vast spread of dishes. Whenever we eat out in Chennai, my parents prefer to eat the South Indian thaali that most commonly consists of 2 or 3 dry curries (vegetables), Kootu (gravy vegetable), rice, sambhar, rasam and curd. It also would consist of a salad, pickle, papad and dessert. 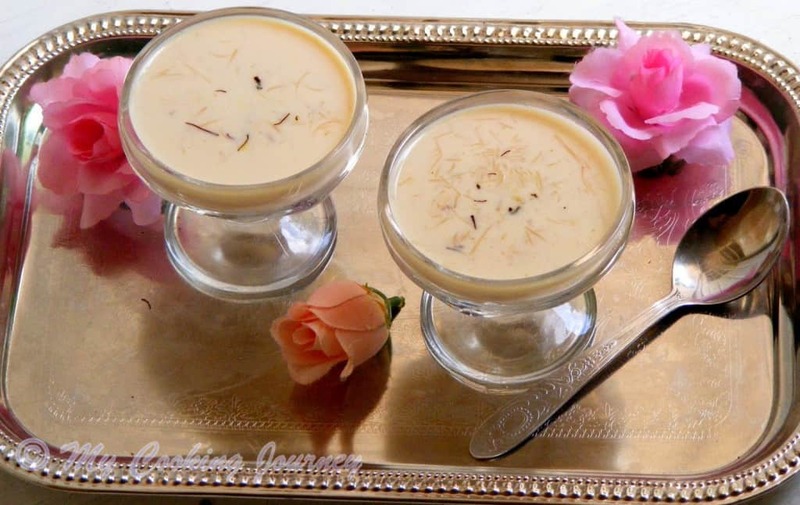 The dessert is mostly gulab jamun or any kind of payasam. I usually end up ordering the North Indian Thaali because of my affinity to the naans and the side dishes. 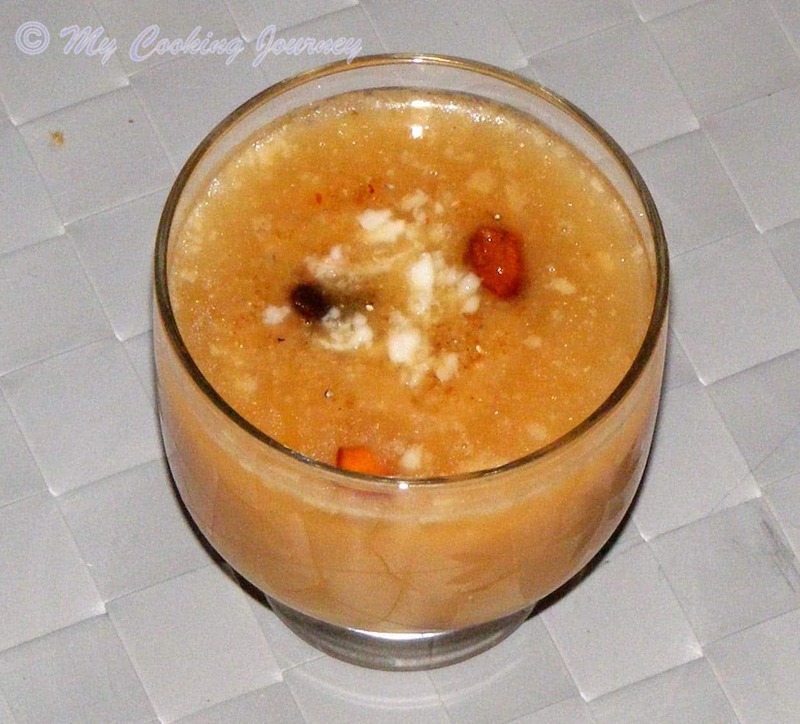 For day 1 of the South Indian meals dishes, I chose to make a payasam. 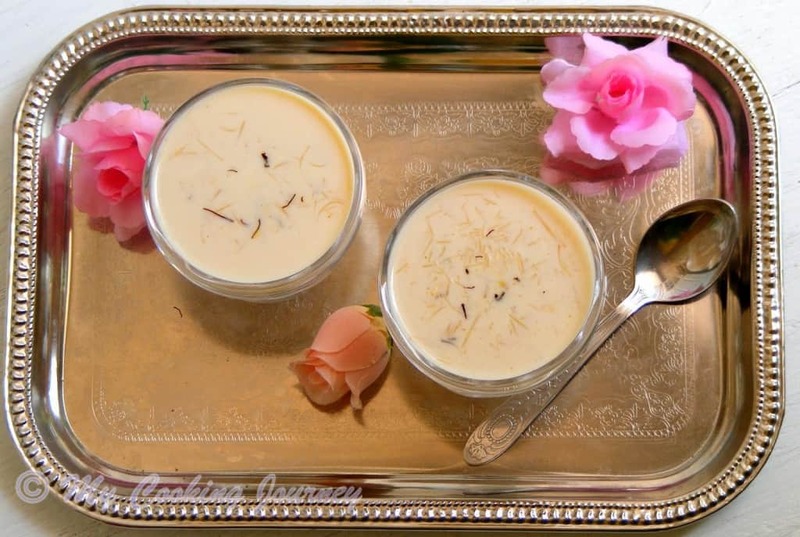 There are several different kinds of payasam/kheer. 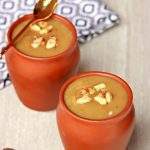 They are either sweetened using white sugar or jaggery. 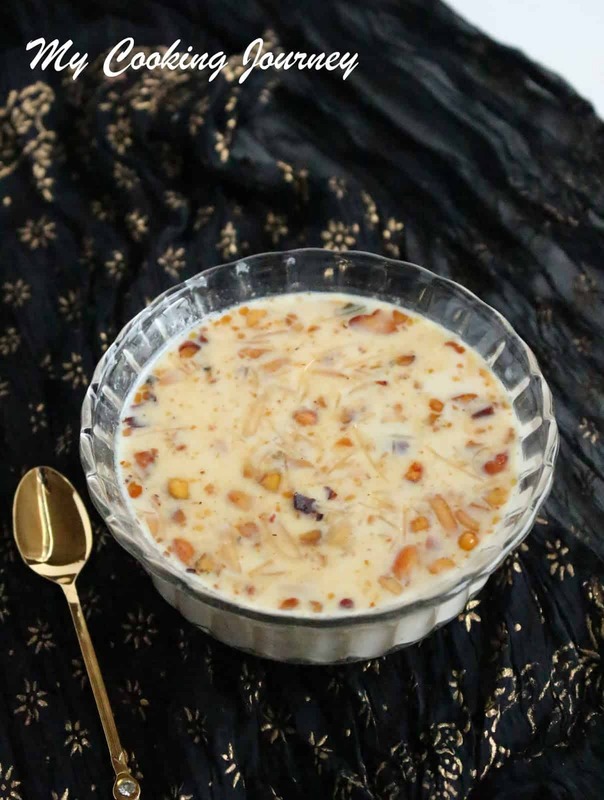 I have made a simple but very flavorful semiya payasam which my kids love. 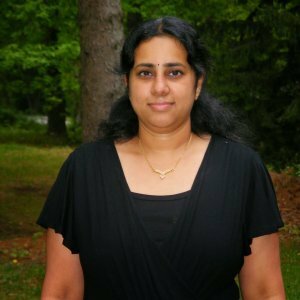 I used the fine semiya that is available in US. 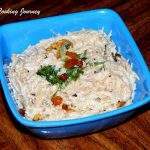 This semiya is already roasted and cooks very quickly when compared to the traditional vermicelli. 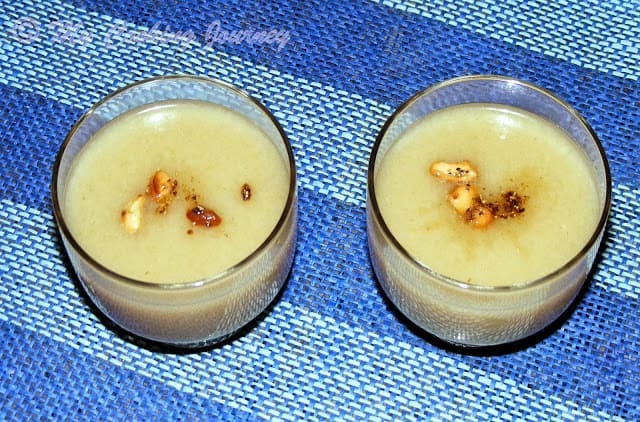 Check out my other Payasam recipes here. In a heavy bottom pan, heat the ghee and then add the semiya. 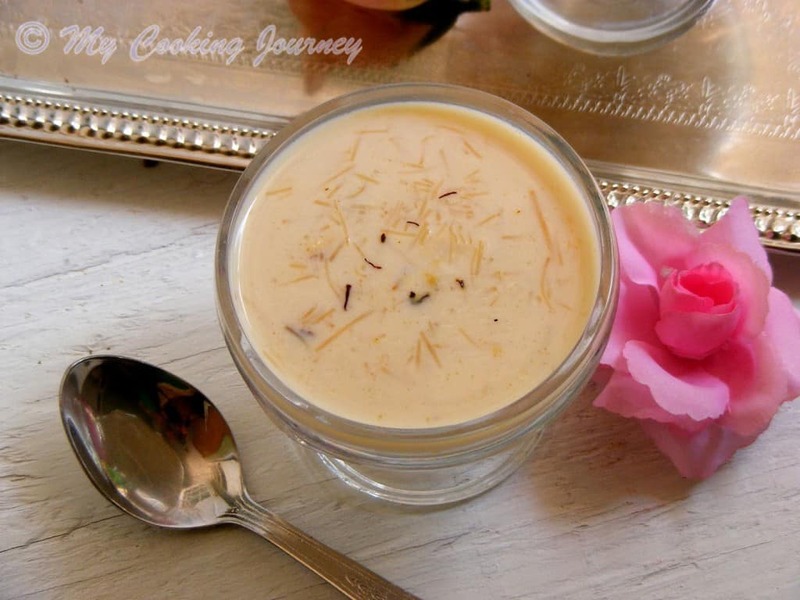 I used the pre roasted very fine variety of semiya to make the kheer and hence I just needed to fry it for 2-3 minutes to get the aroma out. 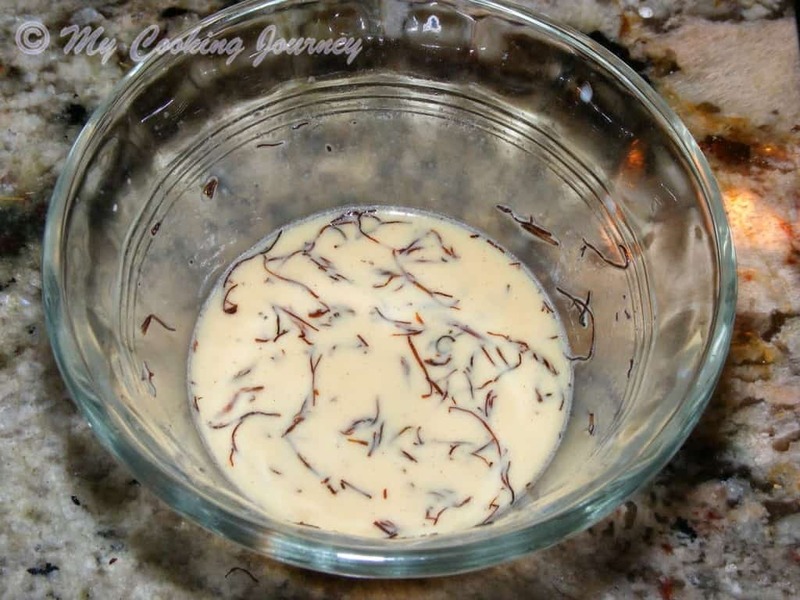 If you are using unroasted variety of semiya, fry it in ghee until it is light brown and aromatic. 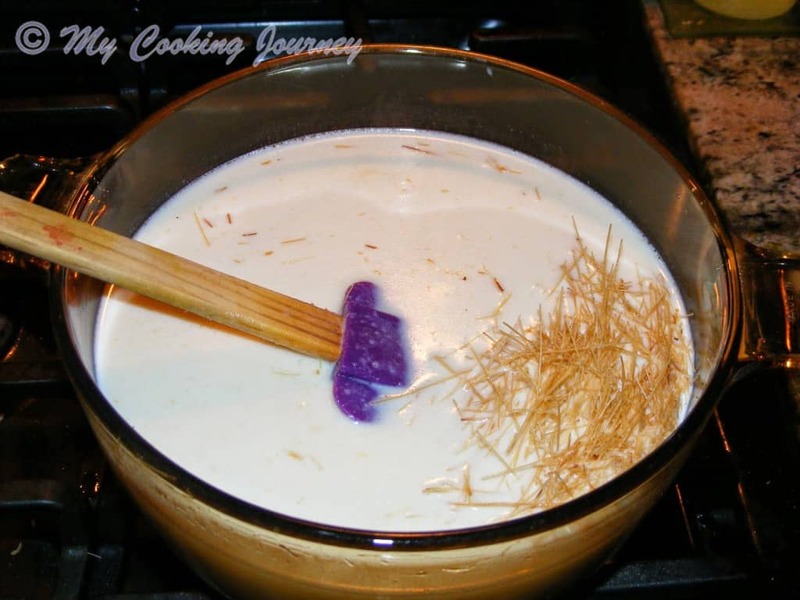 Add the milk and then evaporated milk to the semiya and mix well. Let it cook in low-medium flame. 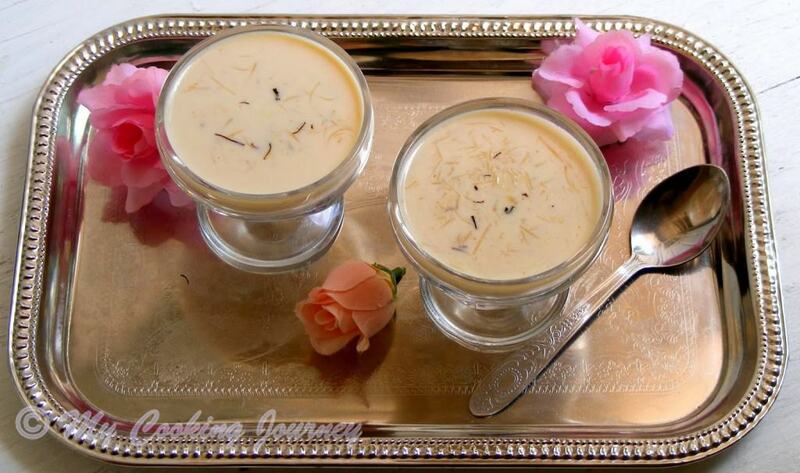 Make sure you stir it often so the semiya does not stick to the bottom. In about 10 minutes you will notice that the semiya has cooked well. 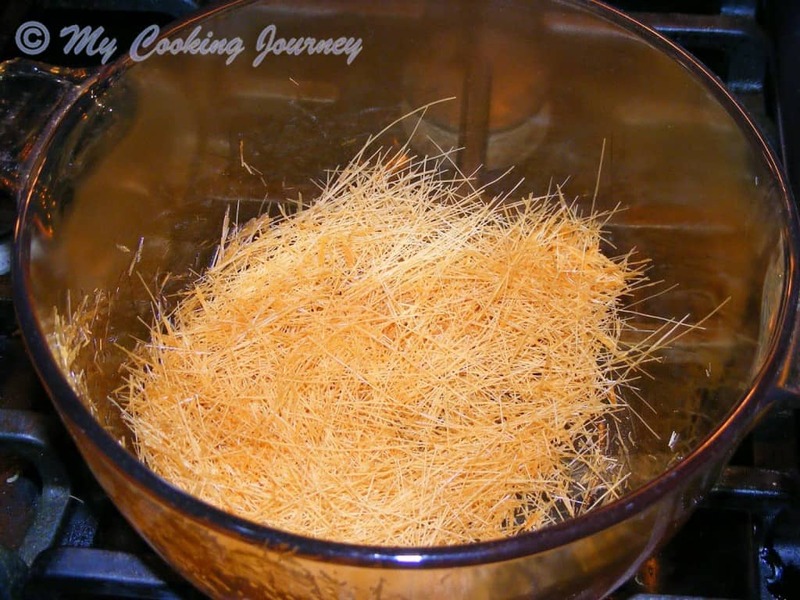 Again, if using the fat vermicelli it might take longer to cook. Now add the sugar and mix well. 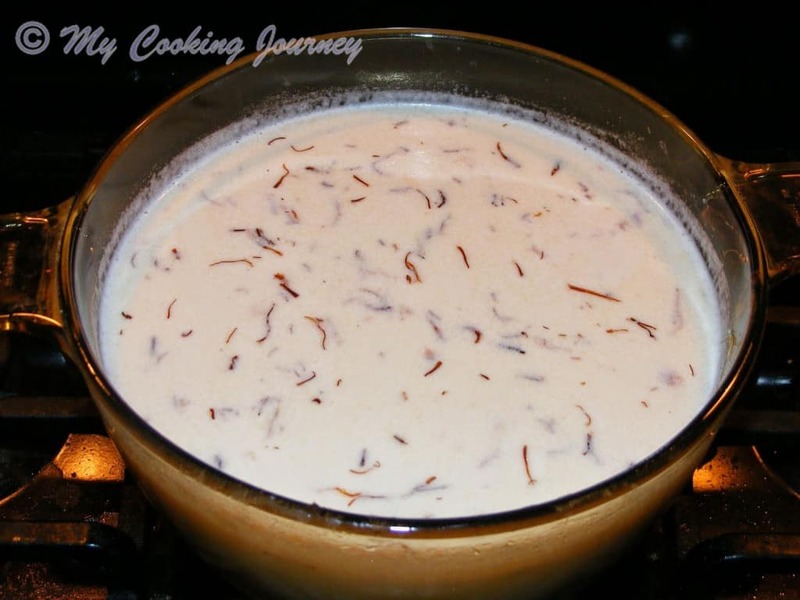 Let the payasam cook further for about 10 more minutes. Meanwhile, in a small microwave safe bowl add the saffron threads and microwave it for about 10 seconds. This helps release the flavors from the saffron. 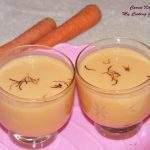 Now add about 2-3 tbsp of warm milk to the saffron and let it sit for about 5-10 minutes. 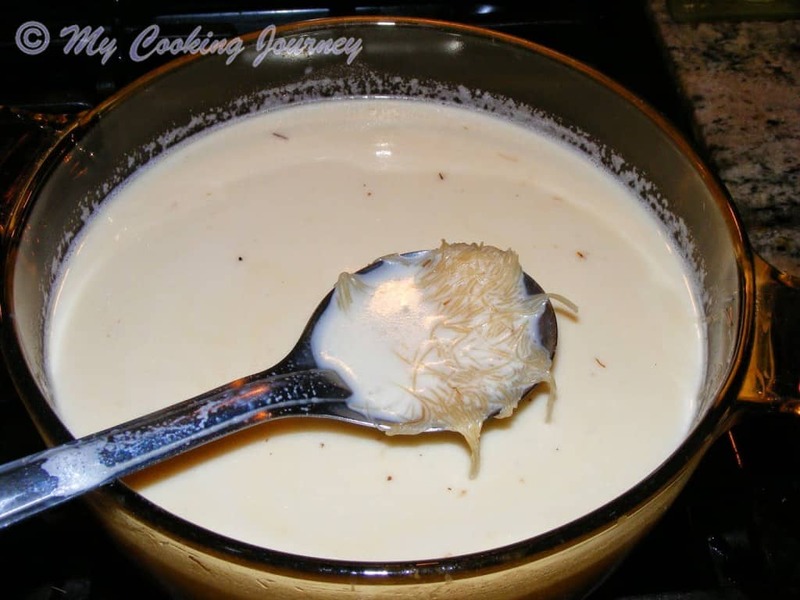 I usually just add the milk from the payasam that is cooking. 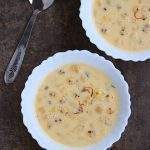 Once the payasam has cooked well and has simmered for about 5-10 minutes, add the saffron with the milk to the payasam and mix well. 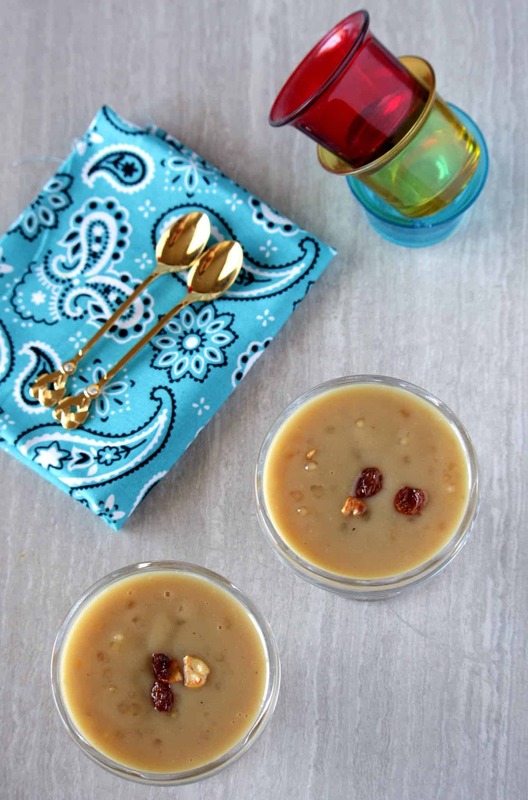 If using nuts and raisins, fry them in a little ghee and then add it to the payasam as well.